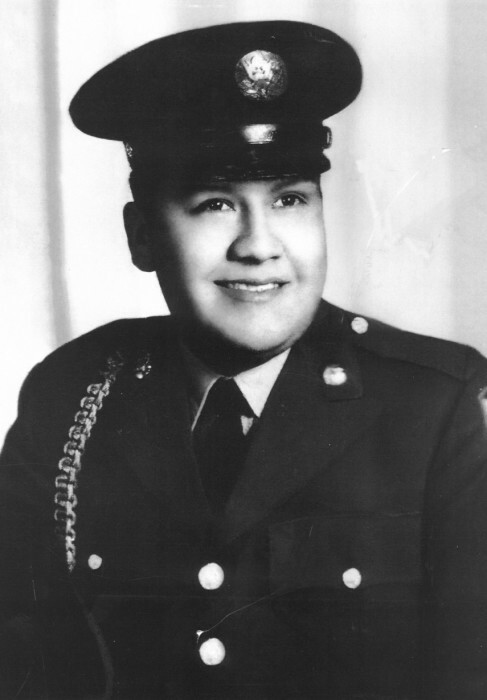 Kenneth Tahreep Santio, age 82, of Ft. Duchesne, passed away at his home on April 2, 2019. Kenneth was born August 22, 1936 in Ft. Duchesne to David Tahreep and Ethel Uncompiuke. He was raised by his aunt and uncle, Ida Tahreep and Jack Santio. He served in the US Army. He married Nataline Maxine Chapoose on October 20, 1959 in Ft. Duchesne. They were happily married for 55 years until her death on December 27, 2014. Kenneth grew up in Hill Creek area, and it was home and his playground, he learned to ranch and helped heard the cattle. He had an adventurous personality and loved to travel and visit family. He enjoyed hunting, and taking part in Pow Wows, Sundances, Bear Dances and all things traditional. He and Nataline were two “mischievous little birds” traveling from Chicago, IL Tacoma, WA, down to Oakland, CA and throughout the Western States. They took their boys to boxing matches, and supported their children and grandchildren in sports and other activities. His family was his first priority and he was a good provider and worker. He cherished his family and delighted in spending time with them. 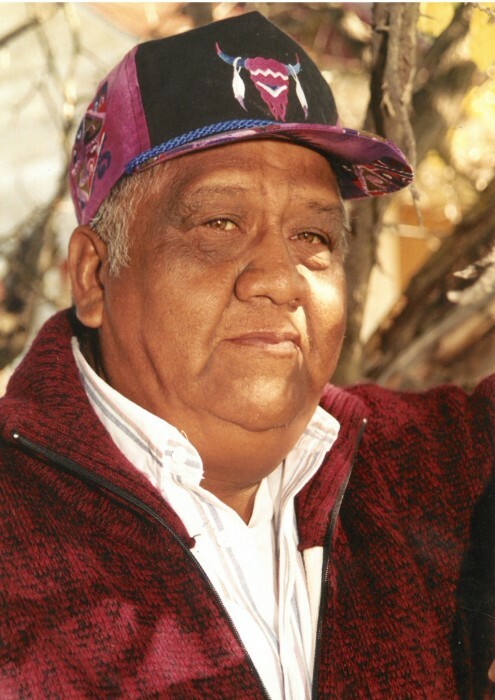 He worked for the Ute Indian Tribe in the Environmental Health Department until his retirement. 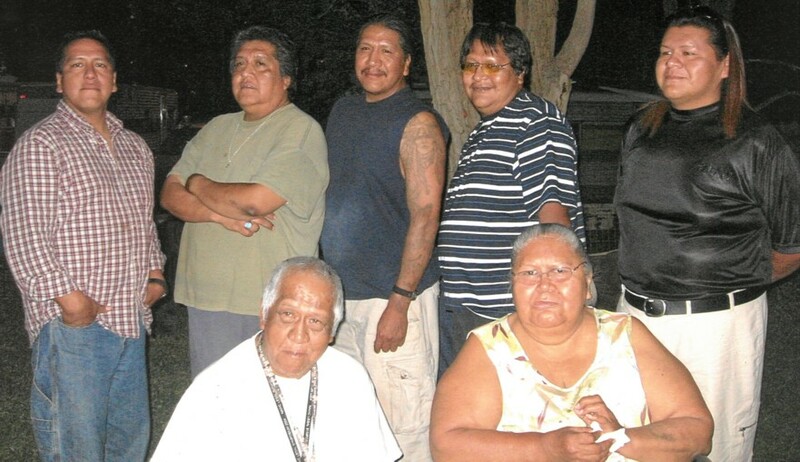 Kenneth is survived by children, Marquist Santio (Manette RedEagle) Red Lake MN; Augustina Santio, Andrade (Ruby Daisey) Santio, Sr., Hilltop; Lionel Tahreep, all of Ft. Duchesne; Lucus (Sharlisa) Santio, Vernal; Melanie Johnson, SLC: Natasha Santio (Eric Welsh), Parker, AZ; Kenneth Kirk Santio, Roosevelt; Reno Tahreep, Ft. Duchesne; Connora Lou Chapoose, Ft. Duchesne; 7 grandchildren that he helped raise, Francisco, Angela, Andradi, Jr., Demetri, Alexander, Kimirah, Darek, 17 grandchildren, 31 great grandchildren 5 great-great grandchildren, and aunt Ida Peog of Towaoc CO, and numerous other relatives from the four corners area. He was preceded in death by his wife Nataline Santio, his parents, his foster-parents, Jack and Ida; and his siblings, Lander, and Dan Santio, Ida Hardinger, Clara Ankerpont, Colin Upchego, and three grandchildren. A wake will be held after 5:00 p.m. on Friday at the Ft. Duchesne Community Building. Funeral services will be held on Saturday, April 6, 2019 at 10:00 a.m. at the Ft. Duchesne Community Building. Final viewing will be at community building. Burial in the Ft. Duchesne Cemetery with military honors presented by the VFW of Ft. Duchesne and the Utah National Guard.